When I study 3Ds Max and Vray for the first time one of the basic settings that I want to know was how to make a mirror. A mirror is a shiny reflective glass but how to render was my first problem. I searched the net and I found some complicated tutorials on how to setup a mirror. 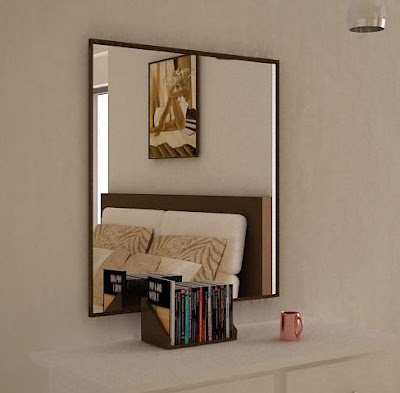 This time I will share with you my simple setting to create a mirror in Vray. In order to know that the material you are creating is really a mirror, you must make some objects in front of the mirror and also you must make proper lighting. The photo on the left is a cropped image from my previous render found in Interior Rendering. 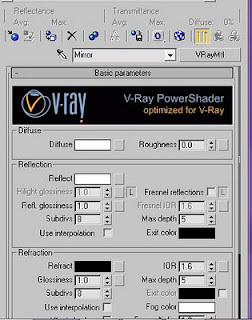 Here is the settings in Vray for the Mirror.